Beautiful pond views with a lovely wooded private setting. 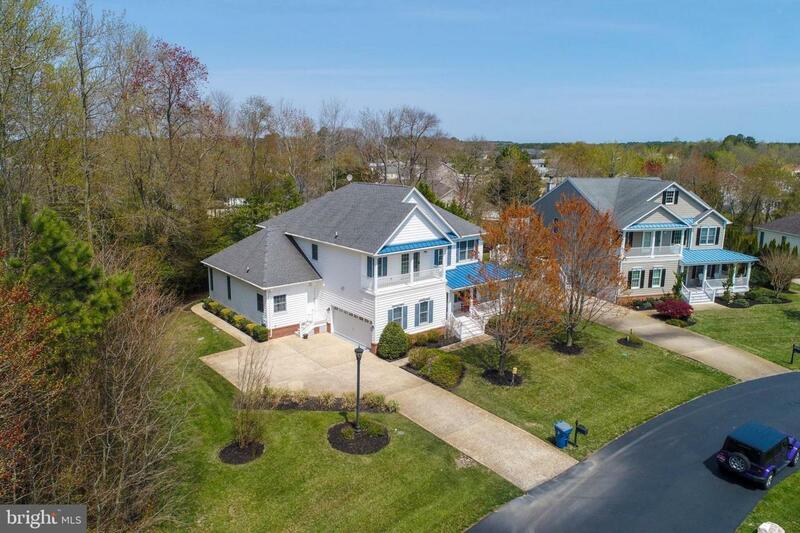 This gorgeous coastal home is located in a premier gated community in Bethany Beach area. Offering an open family room with gas fireplace, upgraded kitchen/dining area, a spacious den with lots of windows, formal living/dining room area luxurious first floor ensuite and a spectacular private screened porch-perfect for entertaining or a quiet evening watching TV. The 2nd floor offers a super-sized loft area and 4 additional bedrooms. The owners never rented this home and it conveys completely furnished, down to the beach chairs and towels! This is an impressive home and you will create many memories to cherish for years to come. Community offers a fabulous fitness center, pool and clubhouse. Recent additions include screened porch and deck, valued at $45,000. Exclusions Artwork Contents Of Garage Closets And Dressers Stainless Steel Chair in Loft.